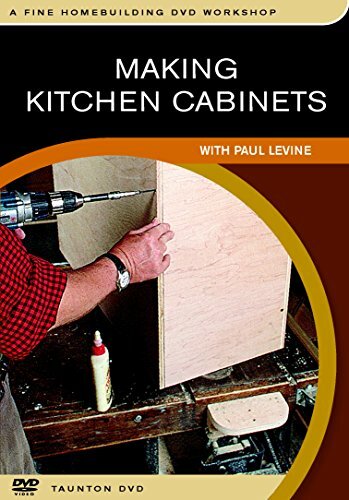 Watching Paul Levine will convince you that creating a beautiful kitchen is as easy as building one simple cabinet several times over. Levine's system saves time, anticipates mistakes and allows for corrections. All you need is access to a small workshop with a table saw a router and some common hand tools. What's more, your cabinets will be as handsome as they are strong, featuring sleek lines, hidden hinges, colorful laminated surfaces and warm wood trim. By watching Levine you'll learn how to: laminate plastic to plywood for easy-to-clean surfaces, cut tongue-and-groove joints to assemble the cases, rout dovetails for sturdy, solid-wood drawers, and install trouble-free drawer slides and adjustable hinges.